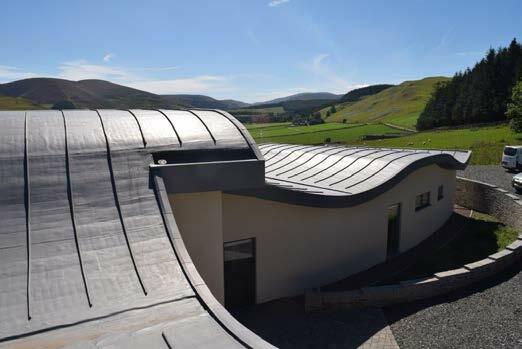 Spectraplan TPE membranes can exhibit surface rippling, particularly with changes in temperature, the effect is also noticeable when the daylight changes from dispersed or diffused light of a cloudy day to direct sunlight. This is an inherent feature of the membrane as a result of in-built extensibility during the manufacturing process. The effect will normally settle down and should not reoccur in the future. It is in no way detrimental to the long term performance of the system either in life expectancy nor to the waterproofing integrity. In addition it does not affect our guarantee for the project. Creases or wrinkles that occur due to workmanship defects may not disappear. The Spectra system has many benefits and does not suffer from a number of issues which affect other single ply systems. The product retains long term flexibility, UV and heat stability, does not contain plasticisers, it is fully resistant to biological attack and will not rot. Spectraplan is environmentally friendly and recyclable, it contains no chlorine’s, halogens or other heavy metals. It is a pure polymer so can be recycled directly into new waterproofing sheets.